When we left northern China on our great journey it took quite a bit of time to decide what technology I wanted to bring with me. I had just bought a new, very lightweight laptop just for the trip but once it came to the crunch I wasn’t sure if I wanted to bring it and risk it getting damaged or stolen. So I made a decision to bring an iPod touch instead. Let me just say that I am not just recommending an Apple product or the standard apps therein (such as the mail and Safari apps which will also be useful for travel). I am recommending the third party apps created by companies who make their profits through other means such as in-app advertising. Now, this might sound a bit strange as an iPod surely can’t be worth more than a computer while travelling, can it? Well, funnily enough, it can actually be better! Let me explain why…. THIS. IS. PHOTOSHOP! This app is outrageously fun and cool on the go. Edit pictures, make collages and more all while waiting for your noodles at a noodle stand. It’s fast, it’s very easy, it’s intuitive and best of all, it’s free! The standard photos app is where all of your photos are stored on your iPod. It seems like a pretty standard app which doesn’t require a mention until you start to uncover its other uses. The photos app can double as a place to store maps you download from the internet. Once again, this might seem simple enough but becomes essential once you realize that city maps are not always widely available and in a lot of cases the city maps offered at the train stations or hotels omit very important features such as subway maps, etc. Using this app on your travels may seem obvious, but sometimes it just isn’t. We have met several travelers who depended solely on their SLR cameras or digital compacts, only to realize the memory was full, the battery died, it fell into the blue lagoon, got splashed on by the kids etc. Well, with your IOS device you have a very capable backup camera with 7mp images and 720p video…. Very very handy. iBooks gets a high ranking because it is a double whammy app. I recently read Dracula, Through the Looking Glass, Burmese Days and many more books on my little iPod FOR FREE! I don’t have to carry heavy books around and the screen is more than capable of displaying readable (albeit small) backlit pages of books, saving weight big time. The second whammy is that I can also email pdf files to my iPod and read those on the device. Why is this so great you ask? Well I recently uploaded the Lonely Planet books I need, including maps, ratings, suggestions, etc. from all over the world onto my little iPod and it all works offline! A real prize winner. More than once I have been in a country where more than one currency is accepted for a purchase and I think to myself “I wonder in which currency my purchase will work out cheaper….” Well this little beauty is ideal. Every time I go to the bank I have the most recent exchange rates downloaded from the internet and I can see how much I lose on exchanges. It is so up to date that recently while exchanging $100 into Cambodian riel I had more up to date rates than the bank teller and in the exchange I actually gained $3 thanks to this app! Skype. Absolutely essential. With Skype I can video call my friends and family, voice conference with several people at once, instant message friends from work and send large files like recent pictures of my trip. When in China Talia and I took a walking tour of the forbidden city in Beijing and at the entrance we were approached by some tour guides, looking for 30euros or so to give a tour. Well with this app we got a self guided tour, with history and pictures of the sights, a map and descriptions of everything around us all offline, in clear English and for free. It really saved us a lot of money and time and it really doesn’t get any better than that! Well there you have it! We use all of these apps in some shape or form during our travels and I would recommend all of them especially the last few, which I would consider essential. Hope this post was helpful and informative! Thanks for posting this great list of apps, Ricky. I recently got promoted to a position at DISH that requires a lot of travel, and I have been looking for a few good apps to make my new life in the air a little easier. I have Skype, and TripAdvisor, but most of the others are new to me; I will have to try them out on my next trip. 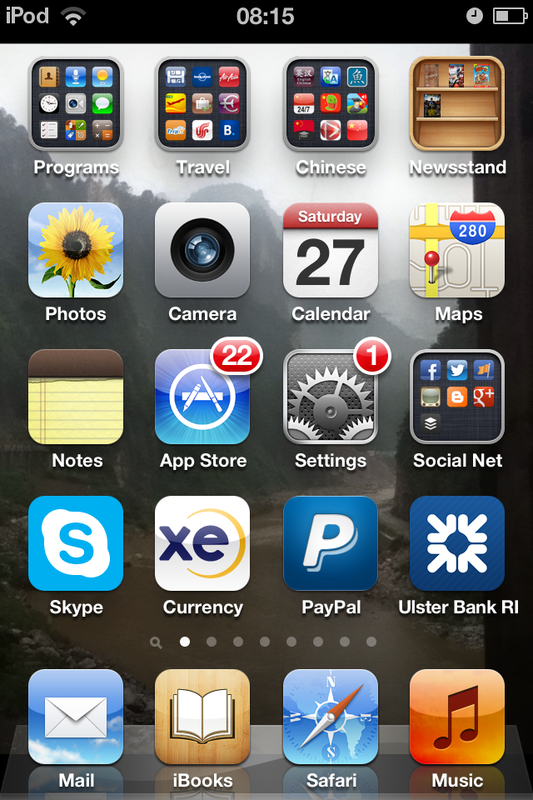 There is one indispensable app that I had before my promotion that has really come in handy now that I travel so much. It’s the DISH Remote Access app, and it gives me the ability to stream live TV or DVR recordings to nearly any device. It has come in very handy during some delays at the air port, but I really love it because I can still watch my Denver local news programs, even if I’m in New York. Thanks for the post Edgar! Your app sounds like a good time killer and re-inforces what I said about not needing a computer. Unfortunately for me I don't have 3g or 4g compatability and I would need wifi to use DISH, but I'll download it in any case for when I do have wifi! Thanks for the tip and I'm glad the list proved useful, it did for me! !